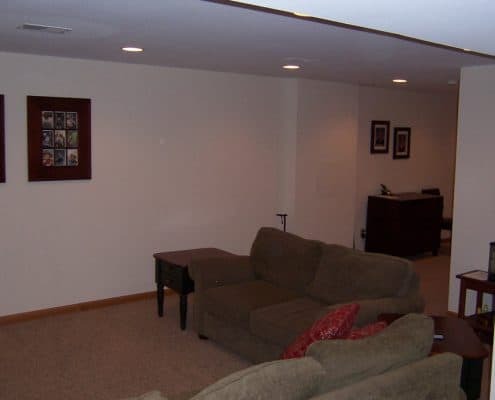 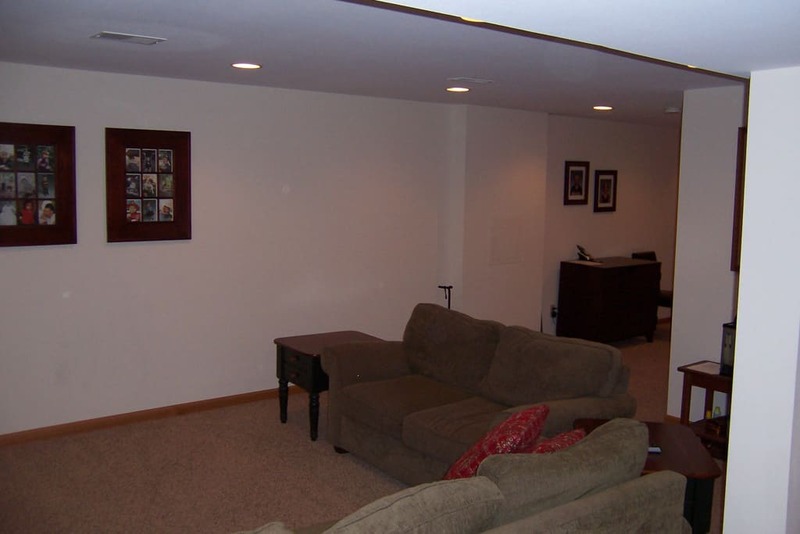 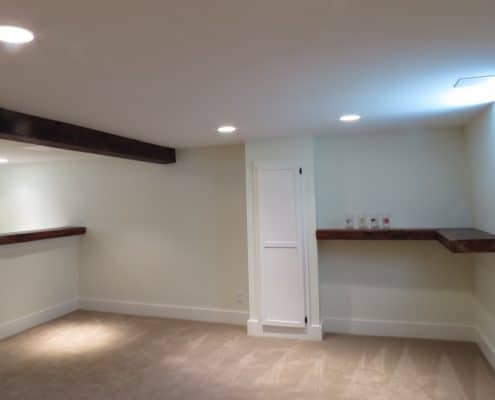 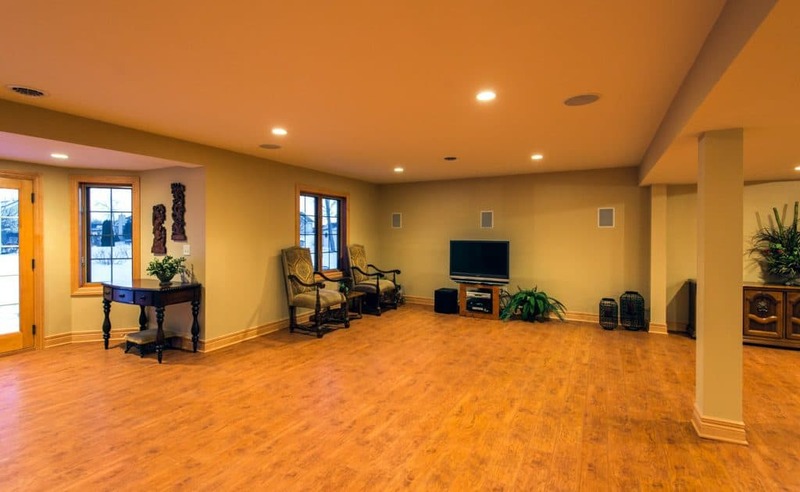 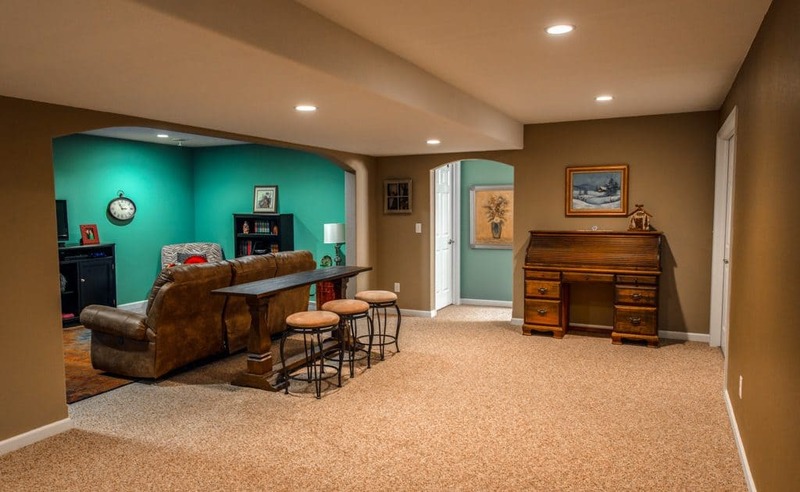 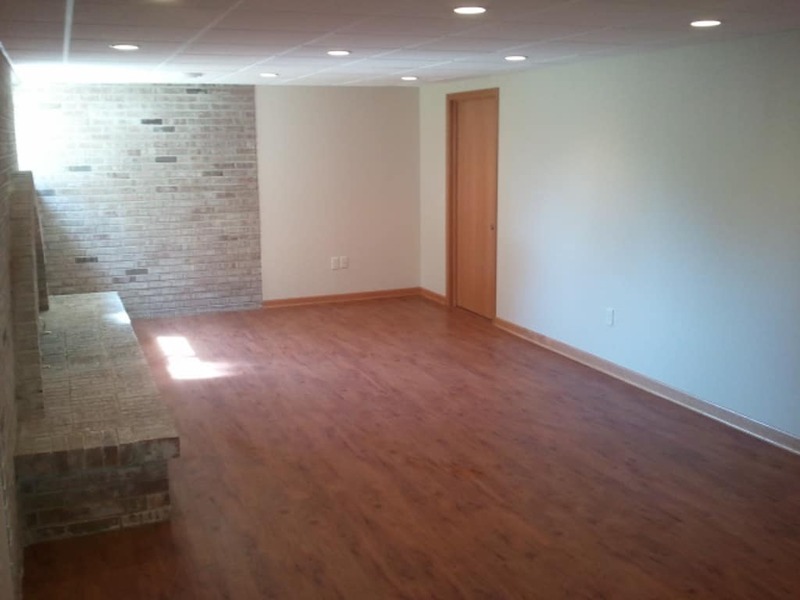 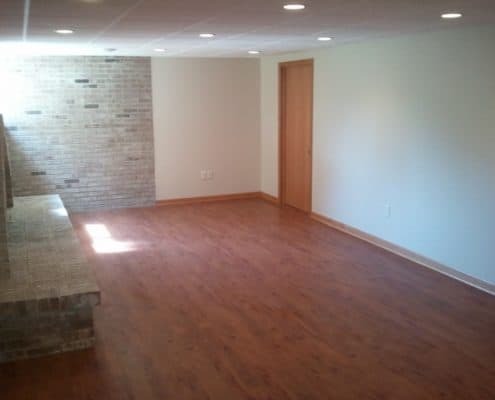 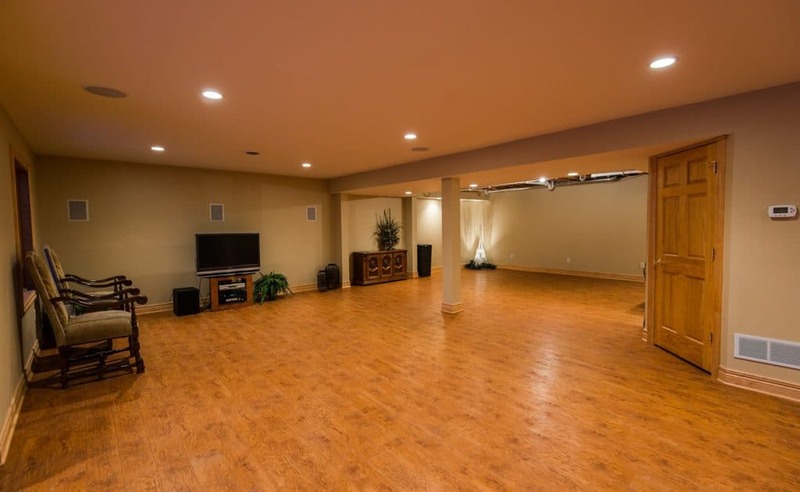 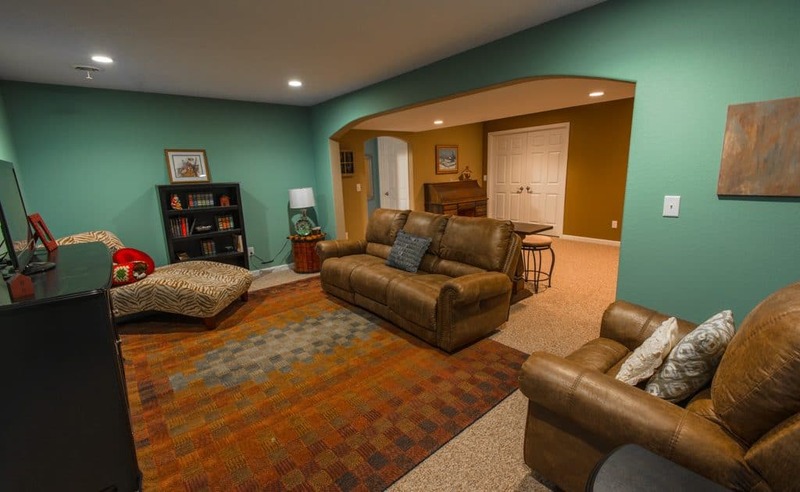 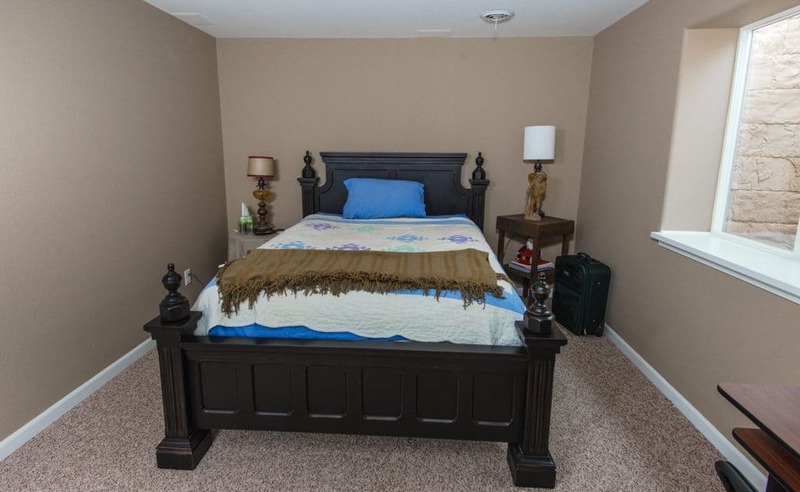 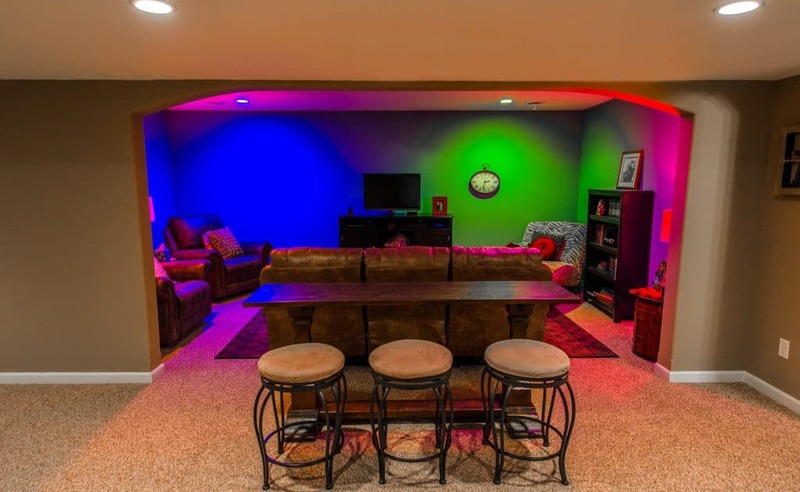 This basement was finished to provide space for a family rec room, bedroom (with egress window) and full bath. 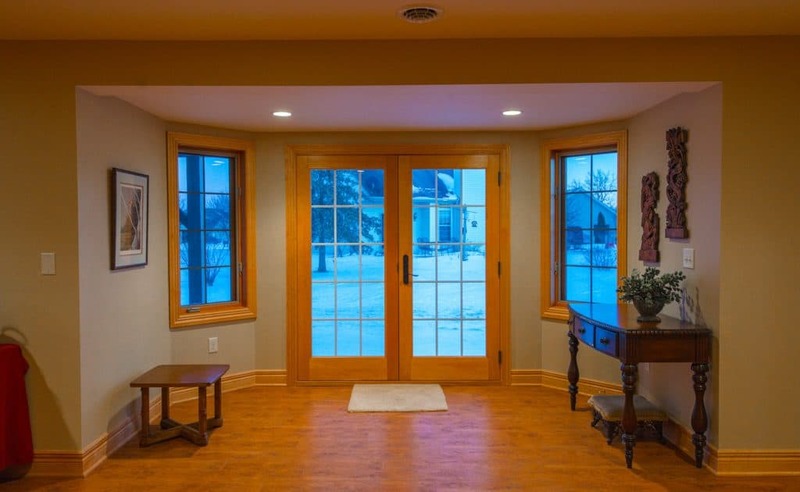 Many of the finishes mimic those on the main level to lend consistency throughout the house; such as an archway, rounded drywall edges, and white trim. 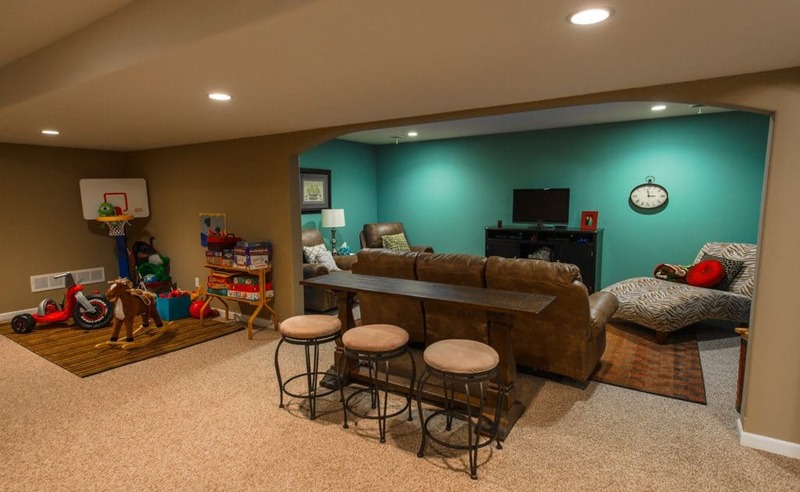 The wide open space in this lower level walk-out is perfect for a family who loves to entertain large groups. 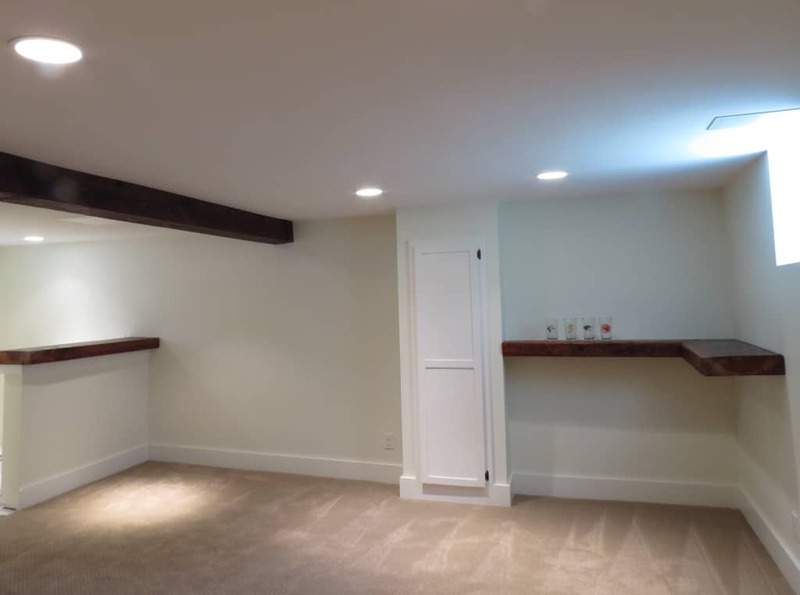 This lower level also includes a full bathroom and bedroom.